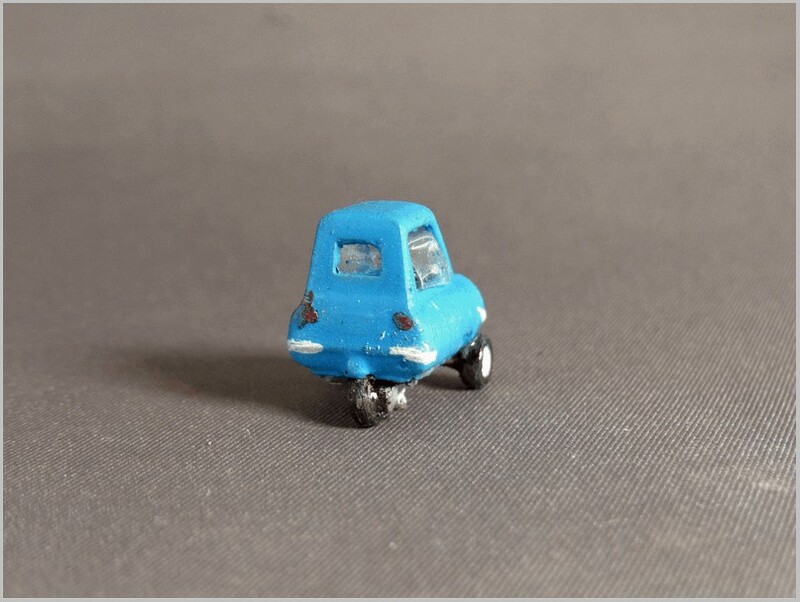 Peel P50 microcars were made from 1962 to 1965 on the Isle of Man, a location more famous for its Tourist Trophy motorcycle races than car production! 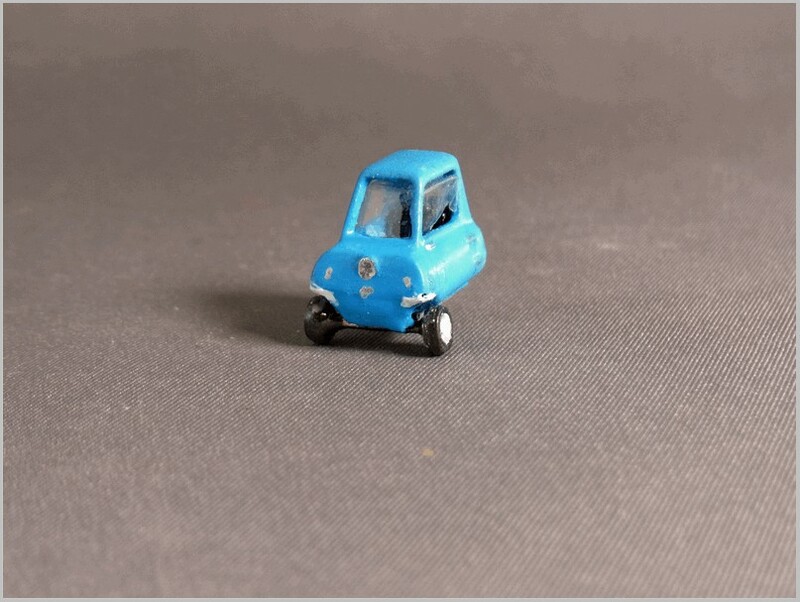 It is listed in the Guinness Book of Records as the smallest production car ever made. It was powered by a 50cc DKW engine giving it a top speed of about 37MPH. It had no reverse gear so had to be reversed physically using a handle fitted on the rear. The original production run was of 50 vehicles, of which 27 are known to survive. The P50 was tiny at 54 inches (1,372 mm) long and 39 inches (991 mm) wide. The vehicle was intended to be used as a city car and to carry one adult and a shopping bag. It has one ‘suicide’ door on the left hand side, kerbside in the UK. It could be bought in Daytona White, Dragon Red, and Dark Blue. It sold for £199 in 1963 not cheap at a time when you could have bought a Hillman Imp for only just over £500. Readers who watch Top Gear may remember Jeremy Clarkson squeezing into one and driving it round the BBC Television Centre in 2008. The model shown in this article has been made to 1:87 scale by Jens Muller from Cologne in Germany. He has made the moulds and cast it in resin. Jens’ models appeared in past MAR magazines but this is perhaps the first appearance in MAR Online. Jens produces these models in very small numbers as a hobby as he has a full time job as a management consultant. 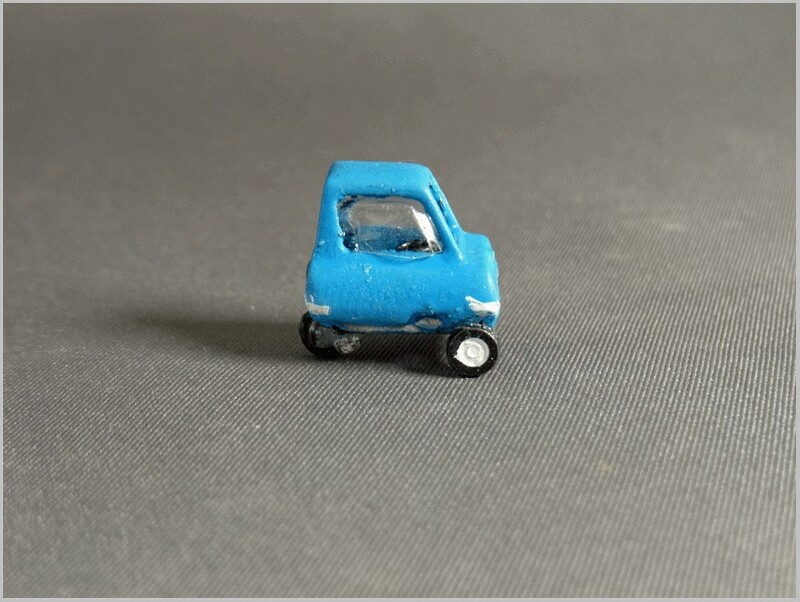 The model consists of: Body shell, combined base and interior, vacform, steering wheel/column, and three wheels as well as rods for the axles. The model is quite simple, and some details such as horn, rear and subsidiary lights, have to be painted on. But the shape of the original is caught well. 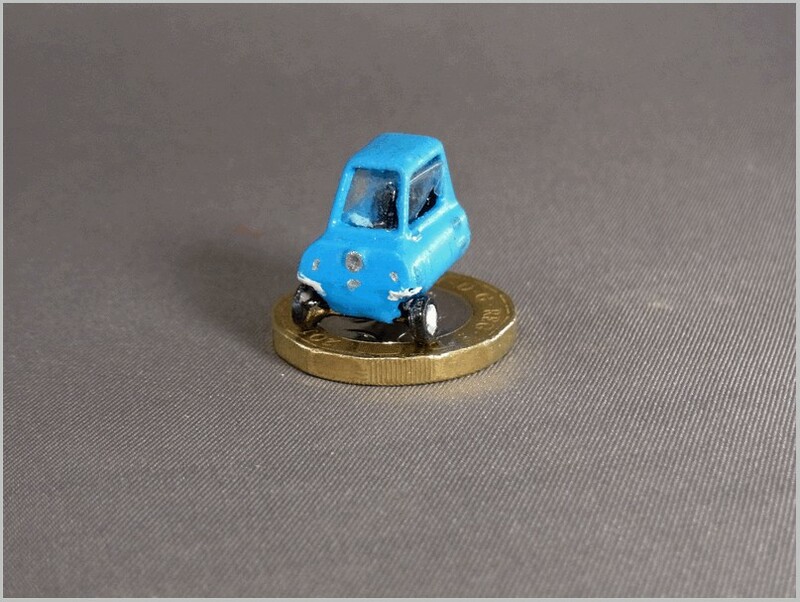 The picture below with the model on a British Pound coin gives an idea of how tiny it is. The pictures show the model at greater than life size and sadly also show the very average standard of painting carried out by the Author. Jens has even modelled the exposed cylinder head and exhaust system running along the base of the car on the side without a door. An unusual model and one that was fun to make. It provides something unusual for 1:87 scale displays and railway layouts.